The Grenada Fund for Conservation (GFC) has received much needed financial backing from the Sandals Foundation to intensify their work to enhance coastal resilience in the Grenville Bay Area: Telescope, Grenville, Soubise and Marquis. According to the GFC, research conducted between 2010 and 2012 determined that, in the event of a rise in the sea level by even 2 metres, the Grenville Bay Area is among the most vulnerable areas in Grenada. GFC with the support of many of international partners, have been working to build the coastal resilience of the area through coastal reforestation and public awareness. “We began working on the Grenville Bay area as part of a project called the “At Waters’ Edge Project” to work on ecosystem based adaptation solutions, bringing people together with nature to develop a series of solutions for coastal rehabilitation. 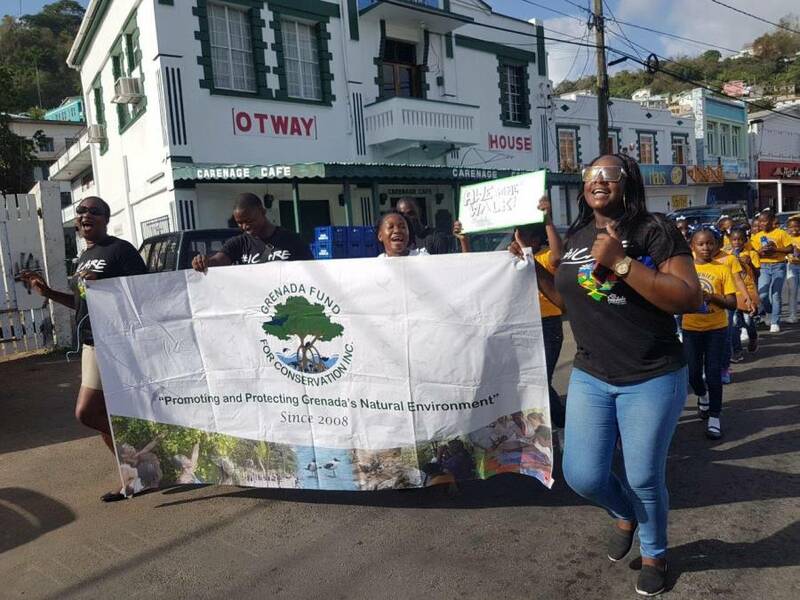 We have a participatory model where we invite members of the community, schools and other community groups to be part of what we do,” said Tyrone Buckmire, Founding Director of the Grenada Fund for Conservation. The German Development Agency (GIZ) and the Australian High Commission previously provided resources for the construction of a mangrove propagation nursery, training for the establishment of a Community Based Organisation (CBO) and development of eco-tourism and livelihood activities. The Sandals Foundation has now pledged their support to the continuation of their vital programme. Specifically, the project entails maintaining the mangrove propagation nursery through replacement of weather damaged materials, continuing the planting of red and white mangroves, grapes, almonds and other coastal vegetation along degraded coastlines in the area, replenishing stocks within the nursery by collecting and caring for seeds and wildings, promoting environmental awareness and conservation activities by hosting public education sessions in schools, churches, community centers and through the use of mass media. 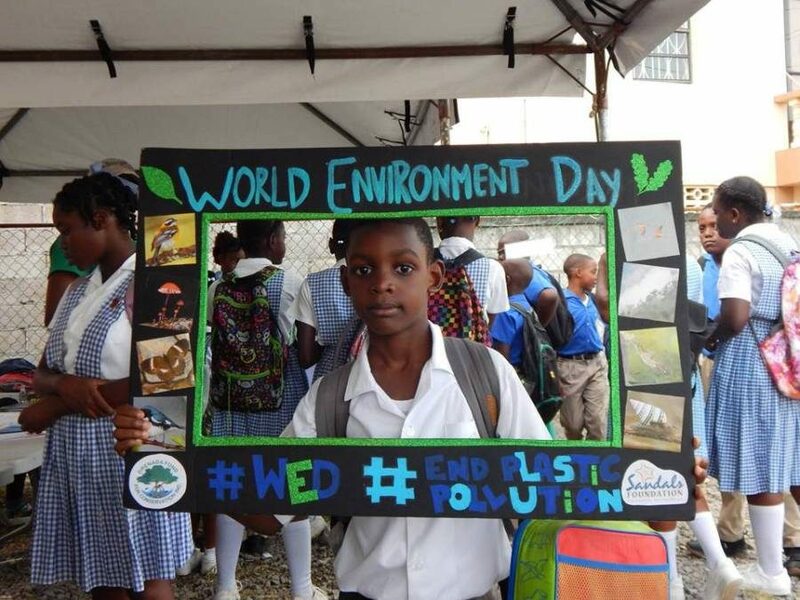 Most recently the groups acknowledged World Environment Day (5 June) and World Oceans Day (8 June) with various public awareness activities: exhibitions, clean ups and a march. “GFC is very happy to be partnering with Sandals Foundation to further the project we began in the Grenville Bay area. Sandals has proven that they are rooted in their desire for the development of the communities of the Caribbean. We hope that this relationship will result in good measurable impact on the ground, so that years from now when persons visit the Grenville Bay Area, they will be able to see a legacy of mangrove plants that are growing and providing coastal protection,” Buckmire said.